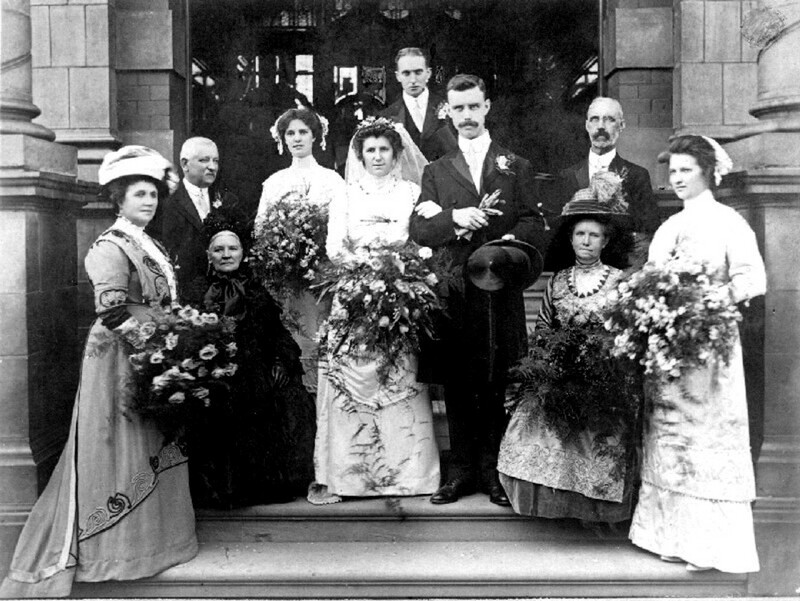 On 30 August 1911 Hugh Halliford Birks married Emily Douglas Lamb, daughter of Henry Lamb and Georgina Hart Hutchinson, One hundred years later 35 of their surviving relatives gathered together in the same hotel that the original wedding reception was held. Attendees not only travelled from England, Scotland and Wales, but also Italy, France and Canada. The group started to arrive on Friday afternoon, many had not met before. I am first cousin once removed from Emily. (Emily's father Henry Lamb had a sister Ann Grace Lamb who was MY great grandmother) We had a delightful weekend renewing and making new friends, and enjoyed a three course meal to celebrate the original wedding, together with a wedding cake showing pictures of the happy couple and four other weddings within the family. Members of the family brought memorabilia they had in their keeping for everyone to enjoy. A slide show ran all day on a large screen of family and related photographs. Members of the family who could not attend were contacted by Skype so they could join in the celebration. 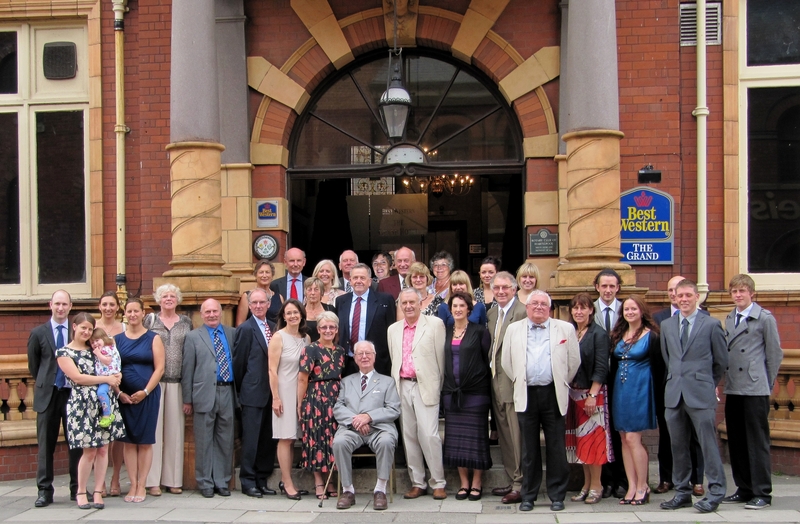 This included the surviving children of the original wedding. Ninety four year old Hugh Reginald Birks, who lives in Canada chatted happily to his baby brother George Lamb Birks who was ninety years old. Thanks are due mainly to Sally Richardson and Peter Birks whose idea it was for the reunion and who did most of the organisation to make it happen. 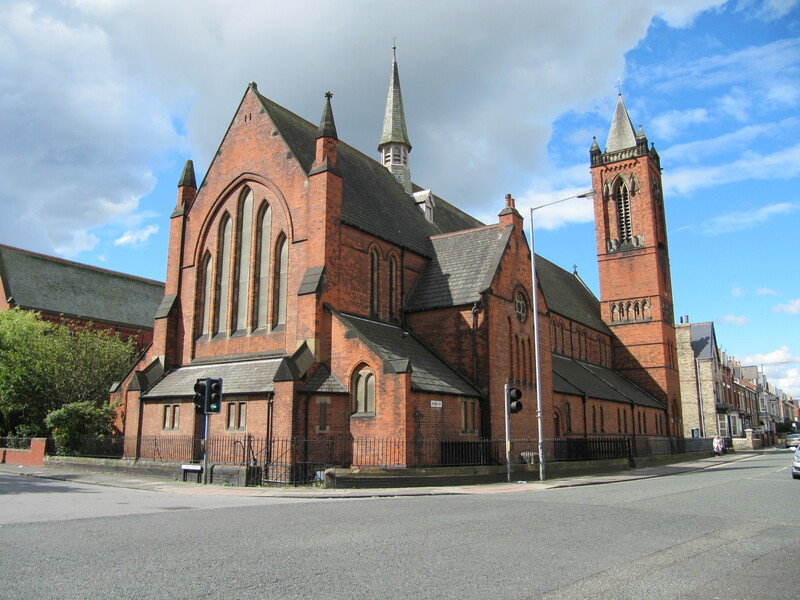 Thanks also to Mike Robson, who created the slide show and the maps to help us all visit places of interest in and around Hartlepool and whose skills made our digital photographs look splendid. Sally created a wonderful book in memory of the day. I am very proud to have a copy on my coffee table. Thanks to these three people and to everyone else who made this event so wonderful for me. I know everyone enjoyed the occasion. We all agreed to meet again in another hundred years!!! !